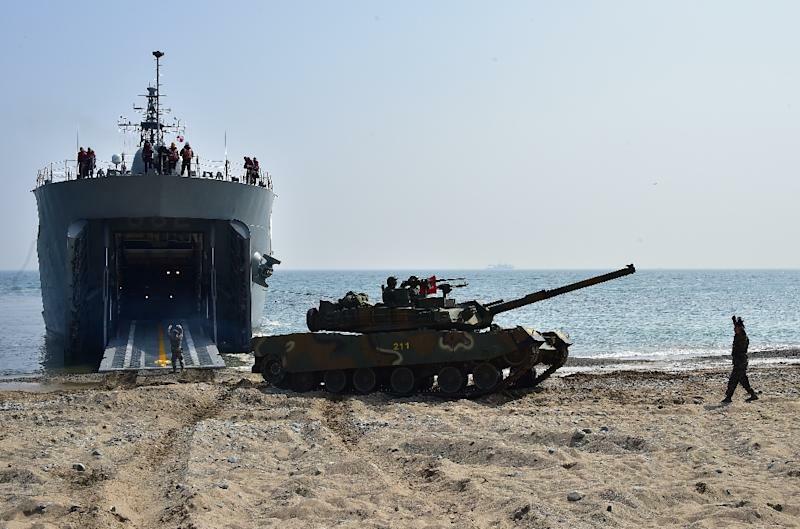 North Korea on Tuesday lashed out at an upcoming joint US-South Korean military exercise, warning it would attack the South and the US mainland in case of any armed provocation. The South and its close US ally will next month hold their largest-ever annual exercise in response to the North's recent nuclear test and long-range rocket launch, Seoul's defence ministry has announced. The North's military supreme command said the allies planned to practise a "beheading operation" aimed at the North's leadership, and other moves to neutralise its nuclear weapons and missiles. The primary target would be the South's presidential Blue House, it said in a statement on the official news agency, condemning it as "the centre for hatching plots for confrontation with the fellow countrymen in the north, and reactionary ruling machines". It said it has "the most powerful and ultra-modern strike means" in the world capable of "dealing fatal blows at the US mainland any moment and in any place". The South, in an unprecedentedly tough move, has shut down a Seoul-financed and jointly-run industrial estate in the North, saying it was helping finance its neighbour's military programmes.